El Al compensates passengers for flight delays according to Israeli law, ignoring EU regulations for flights leaving Europe. Israel's El Al Airlines is changing its policy on compensation for delayed flights, Globes reported. According to the European Union's (EU) regulations, airlines must compensate passengers for delays of over three hours. However, Israeli law mandates compensation only after a delay of 8 or more hours. Airlines are not required to compensate passengers for delays caused by events beyond their control. Though El Al last previously compensated passengers for delays of three hours or more a customer who left Rome on April 8 was told that since the delay was less than eight hours, they were not eligible for compensation, the report said. 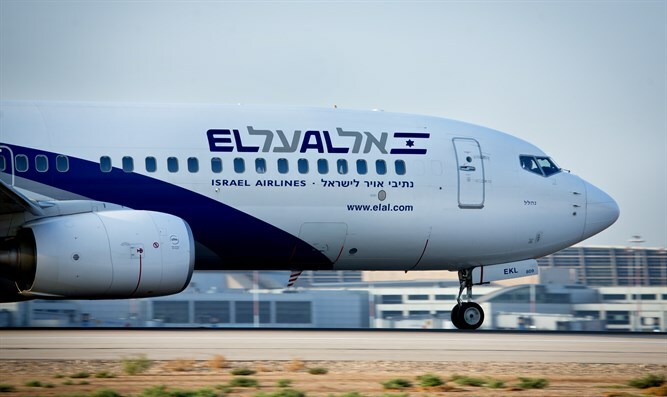 Claim It CEO Ralph Pais told Globes that the change was spurred b a court case in which a German court ordered El Al to compensate Israeli passengers for a flight which left Europe over three hours after it was scheduled to take off. El Al insisted on paying only the EU passengers, claiming that relations with Israeli passengers are not governed by EU law. Since then, the airline has decided that it is not governed by EU law at all. However, Pais said, since El Al has offices in Europe, the airline must abide by EU regulations. El Al refused to comment on the report.